This page Book censorship is part of the mores series. This page Book censorship is part of the censorship portal. Many societies have banned certain books. Grounds for banning are 1) political, 2) religious, 3) sexual and 4) social. The invention of the printing press and movable type led to the Index Librorum Prohibitorum and a climate where every book either first needed an imprimatur or a Royal Privilege. Various religious texts have been banned (and sometimes burned) at several points in history. The Bible, the Qur'an, and other religious scriptures have all been subjected to censorship and have been banned in various cities and countries. 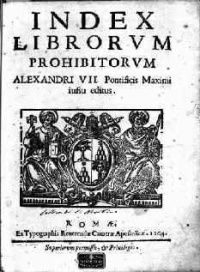 In Medieval Europe the Roman Catholic Church created a program that lasted until 1966 to deal with dissenting printed opinion; it was called the Index Librorum Prohibitorum (index of prohibited books). Over the years many books based on the scriptures have also been banned, such as Leo Tolstoy's The Kingdom of God is Within You, which was banned in Russia for being anti-establishment. Notably, children's books that deal with death or other teenage angst or various crimes often find themselves banned perhaps because of parental worries about teenage suicide or copycat crimes. Many publications are targeted on the premise that children would be corrupted by reading them. This fear led to the creation of the Comics Code Authority in 1954. 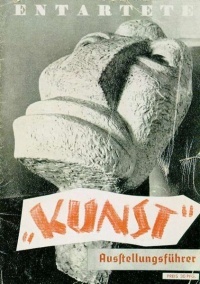 Materials are often suppressed due to the perceived notion of obscenity. This obscenity can apply to materials that are about sexuality, race, drugs, or social standing. Unless indicated otherwise, the text in this article is either based on Wikipedia article "Book censorship" or another language Wikipedia page thereof used under the terms of the GNU Free Documentation License; or on original research by Jahsonic and friends. See Art and Popular Culture's copyright notice. This page was last modified 21:23, 17 May 2015.